Four Eritrean Catholic bishops have published a letter criticising life in the country - a rare move in one of the world's most tightly controlled states. Although they were careful not to condemn the government directly, correspondents say the letter-writers are taking a huge risk. The bishops describe the country as "desolate" because so many people had fled or were in prison or the army. The Eritrean government has not yet commented on the letter. Many of the migrants who drowned off Lampedusa last year were from Eritrea. The bishops referred to this, saying: "There is no reason to search for a country of honey if you are in one." 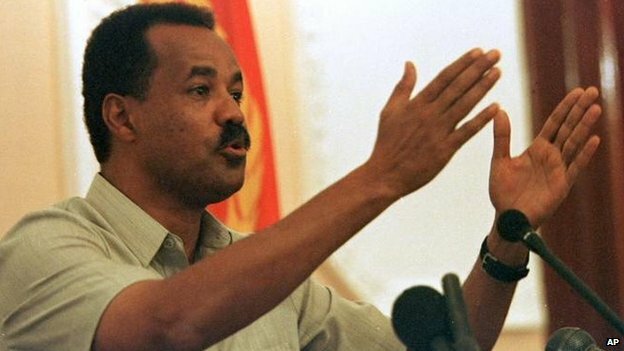 Human rights groups have called Eritrea a "giant prison", with torture widespread. Amnesty International last year said some 10,000 Eritreans had been imprisoned for political reasons since independence from Ethiopia in 1993. This was denied by the government. Young men must do national service until the age of 40, prompting an estimated 3,000 to flee the country each month. In their 38-page letter written in Tigrinya, the bishops said Eritreans were going to "peaceful countries, to countries of justice, of work, where one expresses himself loudly, a country where one works and earns". There was no-one left to look after the elderly, they said. The letter was signed by Bishops Mengsteab Tesfamariam of Asmara, Tomas Osman of Barentu, Kidane Yeabio of Keren and Feqremariam Hagos of Segeneiti. The bishops pointedly said that "all those who are arrested should first be handled humanely and sympathetically" and then be presented to court for trial. 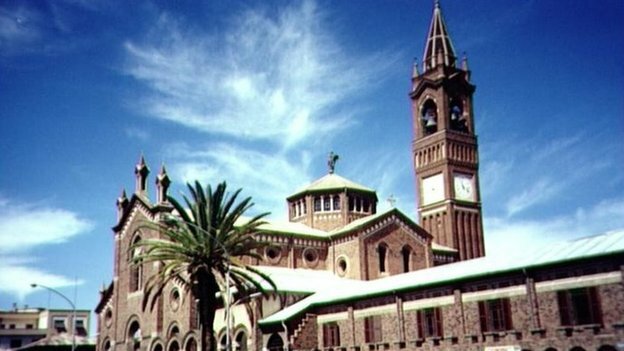 After the Orthodox, the Roman Catholic Church is the second biggest in Eritrea and correspondents say the bishop of the capital, Asmara, in particular, wields considerable influence in the country.